These were the remarks of Seyed Mohammad Saeedi, the Friday prayer imam in Qom, central Iran, on Friday in the city of Mashhad, northeast Iran, prior to the official Friday prayer sermon. These figures are considered high-ranking regime insiders and representatives of Iranian regime Supreme Leader Ali Khamenei in each city and province. “The enemy’s front is vast. It is not limited to the borders, such as the era of the Sacred Defense (referring to the Iran-Iraq war back in the 1980s)... This is one of the enemy’s fronts. The enemy is attempting to infiltrate through all fronts, all channels. They are everywhere, especially through new technology through devices and tools that they have, they have infiltrated into our homes, the markets, the universities, the religious centers, in cyberspace, inside the country and abroad. This enemy has spread everywhere,” he said. “The message of the Islamic Republic of Iran to the U.S. and all the vast arrogant front and the [PMOI/MEK], and all their agents are fighting against… What does it mean when I say our war against the enemy is over our very existence? It means that our enemies want us to be beheaded. The nuclear, missiles, human rights, our substantial advances, the issue of our presence across the region and everything else are all pretexts.  This senior regime insider considered the mullahs’ succumbing to conventions related to the Financial Action Task Force (FATF) as dangerous, self-sanctioning and destructive.